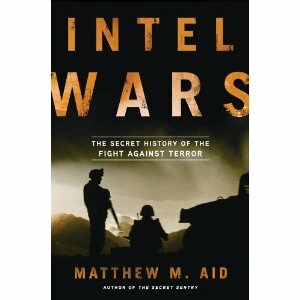 National Security Archive Fellow Matthew M. Aid’s most recent book, Intel Wars: The Secret History of the Fight Against Terror, utilizes numerous declassified documents to examine the role of the U.S. intelligence community in today’s military conflicts, particularly in Afghanistan. Today, the Archive posted 12 of these documents on its website. They paint a picture of a frustrated intelligence community, and a public confused about the nature of the declassification process. 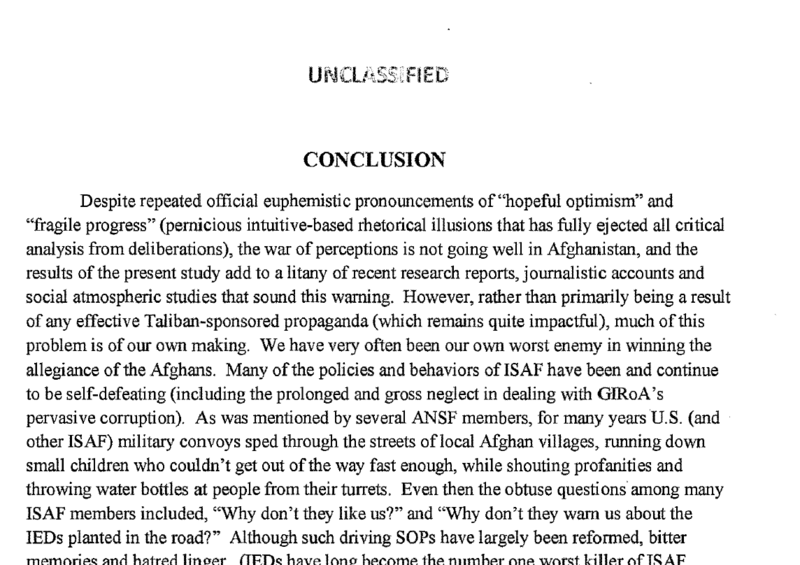 Eight years after Rumsfeld’s complaints, an unclassified intelligence study was reported on by The Wall Street Journal, and was readily available on the World Wide Web. That is, until the U.S. Army recently reclassified it as SECRET (an act the former head of the U.S. National Archives’ Information Security Oversight Office, William Leonard, called a “metaphysical impossibility”). The report examines the reasons why Afghan government soldiers and police have killed 58 Western personnel since 2007. 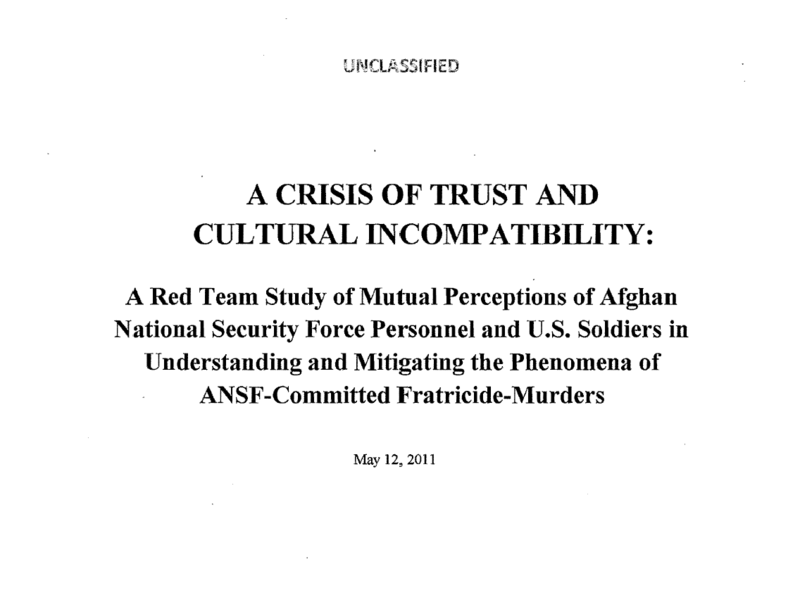 The author’s conclusion that a growing feeling of animosity towards Westerners is fueling these incidents is almost as alarming as the realization that the intelligence bureaucracy places a greater priority on maintaining secrets than addressing Rumsfeld’s earlier concerns of hit-or-miss intelligence. The fixation on preserving secrecy over providing Americans with the information about the war they are fighting to is extremely troubling. Fortunately (or unfortunately), the Army’s classification foible has inevitably drawn more attention to a document that the intelligence community was attempting to keep hidden from the American people. Please join Matthew Aid tonight, February 13, 7 PM at Politics and Prose, for his discussion of the book and the importance of declassified documents for such a project. ← Assassinating Our Way to a Better Taliban?